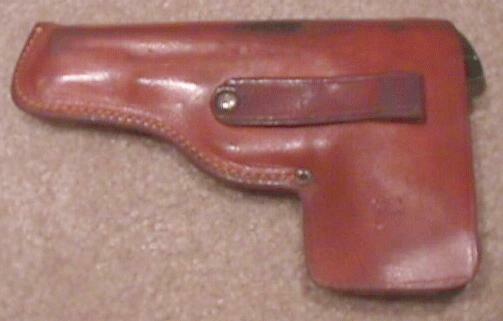 Early First Type Audley Holster for the Colt Model M russet in color. Holster is in good condition overall showing some wear from use. I have included four photos of this holster. You can tell it's early from the single rivet used to attach the spring clip. 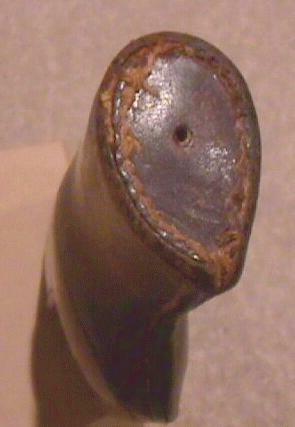 The later variations had two rivets and even later versions were marked "Folsom's Audleys." 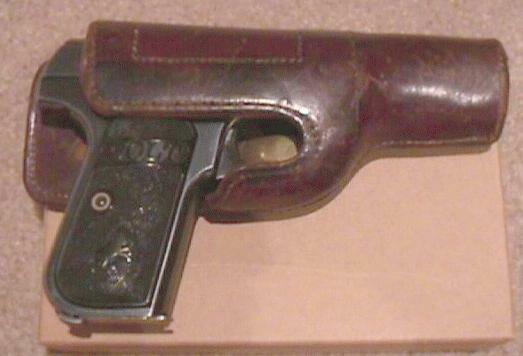 The Audley's Patent marking is on the back of the holster and the date is October 13, 1914. Folsom holster marked "32A" on reverse. Marked "Folsom New York" on brass snap. This holster is in excellent condition. 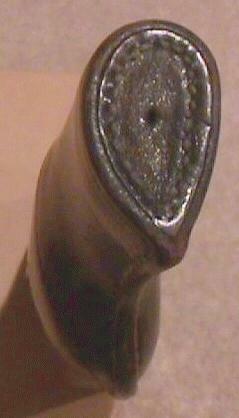 Leather is not as thick as that used to construct the Audley. 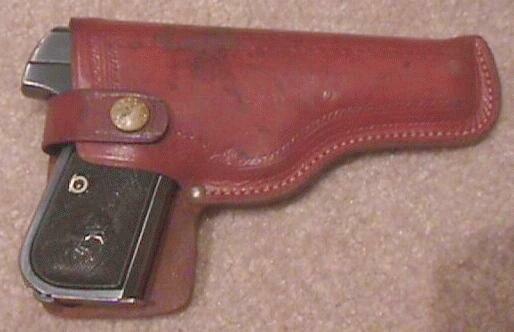 Early Second Type Audley holster for the Colt Model M, russet in color. Holster is in very good condition overall showing slight wear from use. I have included three photos of this holster. This holster has two rivets to attach the spring clip. 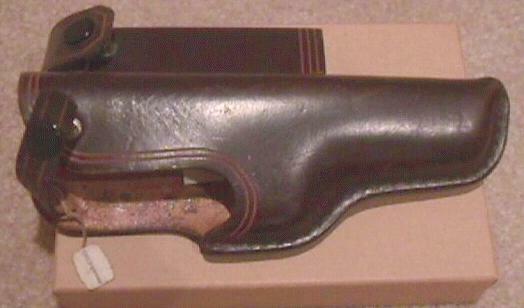 The Audley's Patent marking is on the back of the holster and is the same type as that which is used on the first Audley listed above. Rear view of above holster. Leather plug on this holster is in excellent condition. 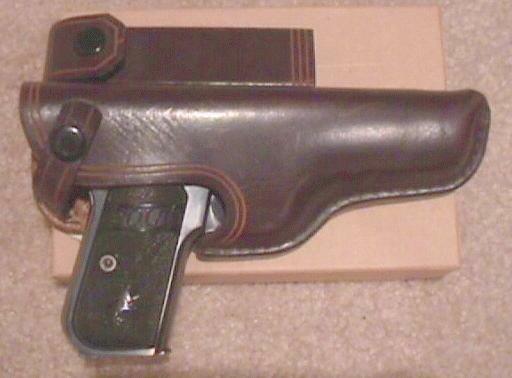 Unusual Abercrombie & Fitch holster for the Model M. A&F was one of the most prestigious sporting goods stores in New York and sold many very deluxe Colt firearms. This holster is in unused condition, dark brown with lighter brown trim, sturdy in construction and has an attached holder for a spare magazine. This holster still has the original "Abercrombie & Fitch" hang tag attached to the strap. Same as above pictured with Colt Model M.